Happy Wednesday Everyone! I have a lot going on here today. 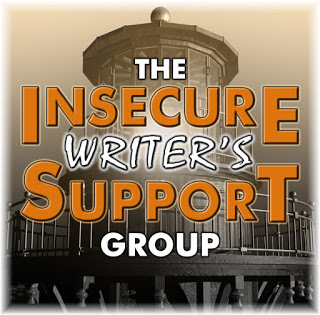 First, my IWSG post for this month and then a fantastic post and giveaway by Christina Farley, who is a MG and YA published author. She's going to talk about being a versatile writer, something most of us need to be. Before I get to Christina's post, I'm going to post my IWSG post for this month. The co-hosts this month are Co-Hosts:Chris @ Madness of a Modern Writer, Madeline Mora-Summonte, Fundy Blue, and Chrys Fey! Today's Question: Have you taken advantage of the A to Z Challenge in terms of marketing, networking, publicity for your book? What were the results? In case you do not know what it is, the A to Z Challenge is a large group of bloggers who commit to posting 28 days in April, using the letters of the alphabet to create a theme for each day. No, I have never done this. My interviews and guest posts do not lend themselves to a daily post based on the letters of the alphabet. And it would take too much energy to create all the posts and read so many blogs. I've always blogged while working full-time and until recently it was as an attorney while being a caregiver to my husband and a mom to my awesome daughter. I did join this group to network more and make new blogger friends who are committed to blogging. I have really done much with this yet and need to start visiting more blogs on this day of the month. What about you? Have you participated in the A to Z Challenge? It’s tough to get published in today’s market and even tougher to stay published. One of the best ways to help you stand out in a crowded market is to become a versatile writer. What does that mean and how do you accomplish that? For me, being versatile means I adjust and hone my craft so I’m prepared when an opportunity presents itself. Which, in fact, it did! A few years ago, I got a call from my agent saying that Andrea Pinkney from Scholastic Press was interested in working with me. Did I have any middle grade book ideas for ages 8-12? The joke my agent and I have is my answer is always YES. After all, yes opens doors and provides new opportunities. So I pitched an idea to Andrea and she loved it. It was then that I was faced with the task of transitioning from a young adult author to a middle grade author (two totally different types of writing styles). 1. I read and listened to the audio of around fifty middle grade books to get a feel of the tone and style. I made sure to read a wide variety as well—commercial, best sellers, literary, and award winners. 2. I subscribed to blogs with a focus on middle grade books so I could get a feel of what was currently being released and what others were saying about the books. 3. I networked with other middle grade authors on social media. 4. As I began to write, I relied heavily on my critique partners who were published middle grade authors. I’m thrilled to have a happy ending for the idea that I pitched to Andrea. She bought the book which only days ago released, THE PRINCESS & THE PAGE. 1. Make a list of genres, age levels and topics that you are interested in. 2. Take that list and find comp titles that would fit into those categories. A great place to start is BookFinder. 3. Purchase or check out those titles from your local library and study them. Look at the word count, writer’s voice, pacing, and characters Make notes of those in a notebook. 4. Stretch yourself by trying something new. Take a class on medieval etiquette, tour a bank, dye your hair, or learn how to play chess or one of these unique games. Need more ideas? Check out this link. 5. Then write about your experience to an audience you haven’t written for. You may fail, but that’s okay because you’re being creative. There’s freedom in that! You’ll be amazed how through this exercise you’ll grow as a writer. · It’s not a competition! · The answer is YES! 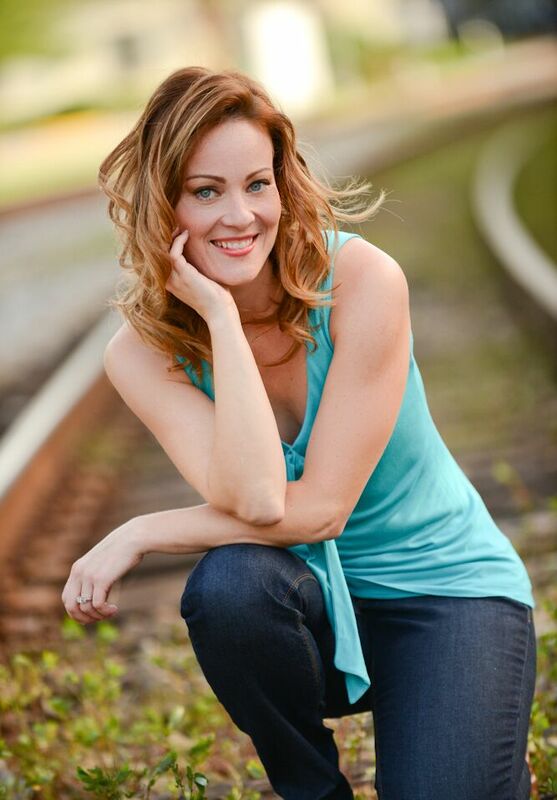 CHRISTINA FARLEY is the author of the bestselling Gilded series. Prior to that, she worked as an international teacher and at a top secret job for Disney where she was known to scatter pixie dust before the sun rose. When not traveling the world or creating imaginary ones, she spends time with her family in Clermont, Florida with her husband and two sons where they are busy preparing for the next World Cup, baking cheesecakes, and raising a pet dragon that's in disguise as a cockatiel. You can visit her online at ChristinaFarley.com. A mystical adventure about a pulls-no-punches princess and the power of her magical pen. hunted for their power. That’s why Keira is forbidden to write. When Keira discovers her grandma’s Word Weaver pen, and writes a story for the Girls’ World fairy-tale contest, she starts to wonder if anyone ever truly lives happily ever after. Inspired by the life and times of Gabrielle d’Estrées, a real French princess who lived during the 1500s, The Princess and the Page follows the mystical journey of a modern-day “royal” who goes from having a pen in her hand to wishing for the world at her fingertips. An autographed copy of THE PRINCESS & THE PAGE and their choice of one of the Gilded series books. To enter, all you need to do is be a follower (just click the follow button if you’re not a follower) and leave a comment through April 22nd. If your e-mail is not on your Google Profile, you must leave it in the comments to enter either contest. If you mention this contest on Twitter, Facebook, or your blog, mention this in the comments and I'll give you an extra entry. You must be 13 years old or older to enter. The A to Z just isn't possible for me anymore. Immersing yourself in the MG community and books is the best way to learn, Christina. I love that! Being versatile... 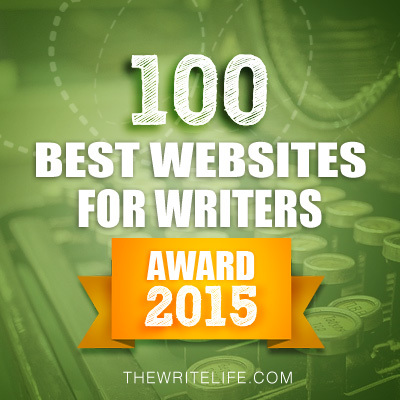 Writing for different audiences is a BLAST, but it also definitely takes time to figure out. Currently, I write about 10 different genres, but have only been published in 4, so I get it. I also think learning to stretch beyond your comfort zone strengthens you as a writer. Anyhow, here's to a lovely April NOT doing the A to Z challenge, eh? I hadn't heard of the A to Z challenge - bloggers amaze me with their time management skills! Thanks for the advice Christine. Can't wait to read your new book. Writing outside your normal genre is a big jump. I've only done it once. Natalie, trying to make the Challenge fit with your blog would be way more work that I'd want to take on. And this is coming from the person who had to take five hours for each Challenge post. Hi Natalie. No, I stopped participating in the A-Z several years ago and it was the right decision for me. Other things just take precedence.It almost made me stop blogging altogether, it was so exhausting -even writing posts ahead of time. I felt guilty if I didn't visit enough other participants. Saying yes is so much more productive than saying no. You never know where that yes will lead you. Princess and the Page looks cute. Congrats to Christina. I've done A to Z and really enjoyed it, but not for several years now. You can do the posts in advance, and that's worked well for me. But April always seems so busy anymore. This year, I was doing a Friday feature for authors from A to Z, but it became too much work, so I had to drop it. So I understand that. Hi Natalie and Christina, thanks Christina for your wonderful tips. Your book sounds lovely, its my kind of a book. Natalie, earlier I used to visit many blogs on IWSG day, but nowadays its just not possible! Focusing on your growth rather than your success (outward, success) is such an important lesson to learn! Many congrats, Christina! Congrats to Christina and thanks for sharing her experience and great tips. I took part in the A-Z several times and loved it, it's how I met the majority of my blogging friends. I haven't done it in a few years now but I have very positive memories of it. Hi, Natalie... and CONGRATS CHRISTINA! Thanks for sharing your adventure with us. Terrific premise and it looks like a fresh and different read.... Tweeted about it. Great that you are doing the IWSG, Natalie. Nice to see your post. Yes, I have done about FOUR A-Z's in the past and I LOVED the first two, after that it became overwhelming to me and I opted not to ever do it again. But I did meet AMAZING authors who I still keep in touch with today. What a healthy approach to a writing career. I love it. It's gutsy and exciting to jump in first and then swim like a dolphin :) Great work, Christina! Congrats. Thank you for sharing Natalie. I hope all is well with you. While the A to Z challenge sounds like fun, I've never tried it. I do a top ten Tuesday, when there's a topic I really enjoy and can come up with ten things for. I too keep a writing notebook of quotes and lines from books that I loved reading. Congrats to Christina on the release of Princess and the Page, it sounds like a lovely premise. A to Z Challenge does take a huge time commitment. Great tips, Christina! I know quite a few authors who do similar things to write to market. 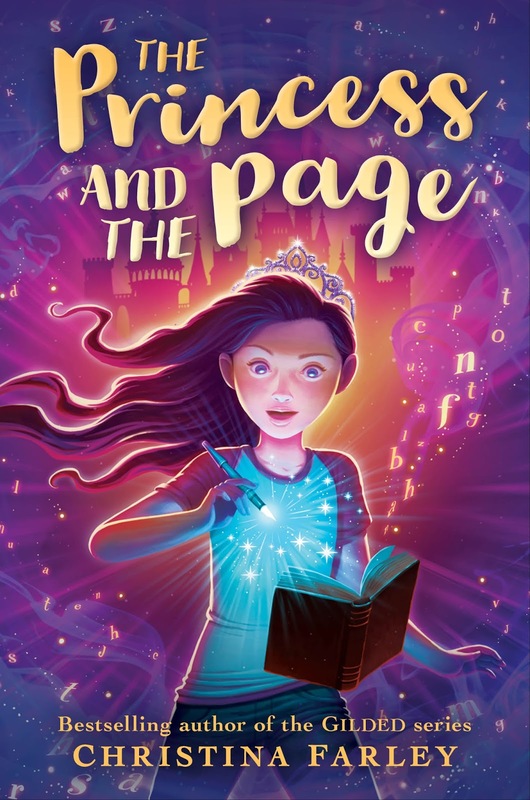 Love that cover for A Princess and the Page! I wish I had known this was the question this month, as I'm currently doing just that for the A-Z Challenge! I was going to write an IWSG post, but ended up skipping it due to time constraints. My book isn't out yet; I'm trying to generate some advance interest with character snapshots. So far it's getting a good response. Congrats to Christina; what an excellent bunch of tips! The A-Z definitely takes up a lot of energy. I did 2-3 times. That was enough for me, especially now that I don't have as much time to spare. Great tips from Christina. Studying the market and reading is so important. No longer doing the A to Z Challenge. Too much work and some of the changes they've done this year does not encourage me to come back. Congrats Christina and I'm also interested in writing widely. It does help you spread your wings more. Congrats to Christina! That is excellent advice. I write in a variety of genres, and I do a lot of those things to get into the right frame of mind. I love testing myself too, in different genres. Loved the interview with Christina. Loved her flexibility. And the way she researched the genre. That was key. And that adorable cover! Who could resist? I really enjoyed getting the behind the scenes story about Princess and the Page. 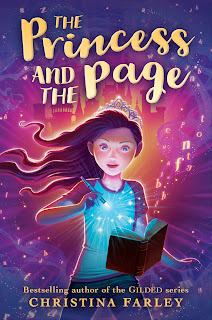 It sounds like such a fun book--and I like the connection with a real historical princess! Huge congrats to Christy! Natalie - I've done A to Z and loved it, but last year and this year were not good years for me to participate. I think it can be a great platform-builder, but it's time consuming. Plus, I think you are doing great on meeting other bloggers. Maybe it's a slow build over years instead of everyone in a month, but I think you're going to have a solid, attentive following in the long run (if not already). Christina - I enjoyed reading about your flexibility and your research. I loved that "Yes!" part. I hadn't thought about listening to audiobooks in the genre that I'm considering, but I love the idea and plan to put it into practice today. Thank you for the tip! You did your research. Great advice! I've never done the A to Z challenge, either. It sounds great, but like too big of a commitment for where I am right now. Congrats on your new book, Christina! I enjoyed reading your advice! Love that--the answer is always yes! Sounds like a great read! The Princess and the Page sounds like an amazing read! I'd love to get a copy of The Princess and the Page. Thanks for the chance to win one. Natalie - I've chased the elusive networking/marketing thing too, but haven't nailed it yet. Stephanie - I love the cover of your new book. I started in YA since "everyone" said that's what agents wanted. Despite the fact I got an agent, I dislike YA. A lot. Tying myself to writing more and more made me miserable. I fired the agent & only write what I'm interested in now. I'm so glad that your "Yes!" attitude has made you so successful! Reading really is the best way to get the "voice" down of MG. I have a hard time following audiobooks in that genre...I don't know why! I have never participated in the A-Z Challenge, but I have always enjoyed visiting blogs and learning more. So many interesting themes every year. No, I've never participated in the A- to Z writer's challenge (the reader's one, yes! - every year). This sounds like a fun series that my daughter would enjoy. Thanks for the chance to win! Wow! Signing a book contract. Every writer's dream. Best wishes for a smashing success! THANK YOU EVERYONE for your kind words and I'm thrilled my post could be helpful to you. Crossing my fingers for you to win the book. I hope you love it and all the best to you on your writing!